We’re known for our specialty programs to help gym owners attract new members with new types of classes. The funny thing is we get a ton of requests from gym owners who are stretched thin, begging for a high-quality Affiliate Program. 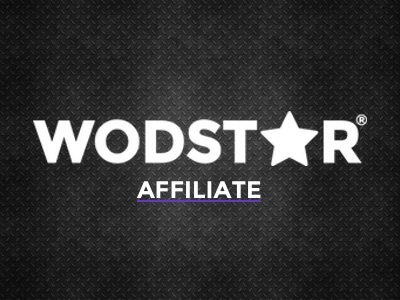 We’ve been listening and now have written the Wodstar Affiliate program. Turn over your daily programming responsibilities to our in-house team of experts and not only get a great program that your members will love, but also free up your time so you can do the other 100 things that you need to do to keep the ship running smoothly. WODstar has provided the highest quality programming for our YMCA facility in Australia. Using WODstar as our programmers has saved us a lot of time and admin to provide our participants with different, varied, and innovative training sessions six days a week. Our paid classes are now just over 70% occupancy just five months into it – surpassing all targets we had set for our new Studio! Our Wodologists write this General Physical Preparedness program that capitalizes on our video library of hundreds of exercises to keep every workout interesting…sprinkling in just enough benchmark workouts to allow you to measure everyone’s progress. Your daily program for your members won’t miss a beat and they will thank you for the recovery videos that we include at the end of every workout! If you are a gym owner looking to free up the time you spend programming to focus on areas that can bring in more money, introduce this high-quality daily workout (WOD) to your members. If I Delete My Facebook Can I Still Access My Program? Yes! Just contact us and we will send you your username and temporary password. Fill out our contact form by clicking here! Can I Link My Account With Facebook For Easier Login? Yes. Go to the Menu Community–>Profile–>Scroll Down to the Bottom of View and click Link With Facebook Login. We have a username and password retrieval tool on our login page. Click here to go there. Contact us by clicking here and let us know you would like to cancel. Can I Sign Up Without a Facebook Account? Yes you can. Our registration pages allow users to choose whether to sign up with Facebook or create a username or password.